Teaching Assistants are increasingly relied upon to provide for children who experience difficulties in learning. 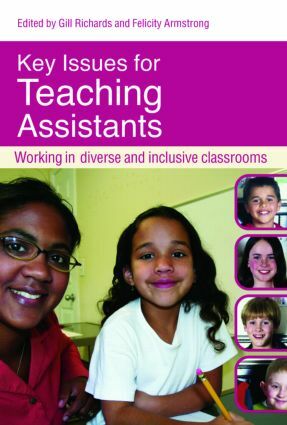 Key Issues for Teaching Assistants is an essential companion for any Teaching Assistant who wants to understand more about inclusion and diversity in today's classrooms. While focussing particularly on the diverse roles of teaching assistants in supporting inclusive education, this book will be invaluable for all those involved in the development of inclusive learning and teaching. being the class 'TA' not 'PA'. Each chapter contains an overview of topical debates, current research and initiatives, emphasising inclusive approaches and the importance of understanding the perspectives of children, regardless of their difference. Useful questions for reflection and a helpful list of suggested further reading material are also provided. Teaching Assistants, whether in practice, or as part of their study, will find this book an indispensable resource. Listening to learners: Whose voice counts? A new role for special schools? Bullying in schools – or bullying schools?